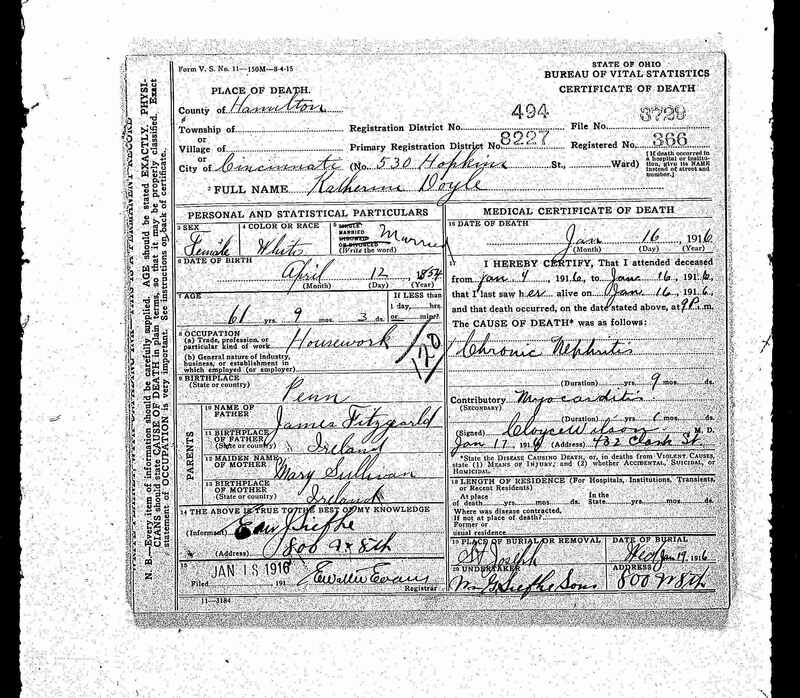 Born in Pennsylvania (possibly Pittsburgh) on 12 April 1854 to James Fitzgerald and Mary Sullivan. Had an older brother named John Fitzgerald who was born in England about 1851 (he was living with Kate and her husband John on the 1910 census). Died 16 January 1916 in Cincinnati, Ohio. 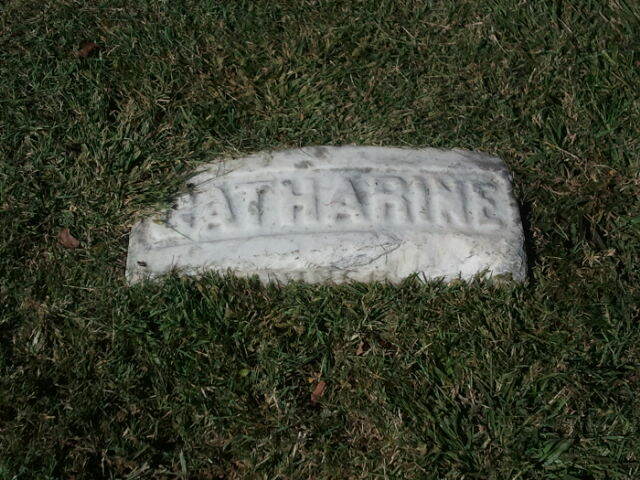 She is buried alongside her husband and 3 sons; she is the only one with a headstone. I know Cincinnati has their old city directories online and searchable. So, I wondered if Pittburgh might have something similar. They do! I was able to search the 1856-57 directory and found a James Fitzgerald. It’s a start!